The Co-Curricular Recognition STARS Interest Group explores an emerging them in the current Australian higher education environment which is the formal recognition of student involvement in activities outside of their formal curricular. This cross-institutional group will share their key learnings from implementing co-curricular recognition programs at their respective institutions, as well as discussing research and best practice in order to mature these programs on a national scale. The group will discuss common challenges and themes including, but not limited to, the value and purpose of formal co-curricular recognition, embedding co-curricular recognition with employers, driving student engagement in these programs whilst maintaining the integrity of the learning experience. This group will provide a cross-institutional support network to foster a collegial approach to an emerging space in higher education. 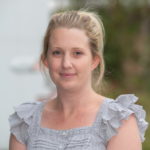 Kylie has 10 years experience in working in the higher education sector in implementing peer learning programs, outreach programs and equity programs for future and current university students. Kylie has led the evolution of co-curricular recognition at UOW with the support of her staff to achieve increased student and staff engagement in co-curricular programs. Kylie has a significant research interest in how partnerships can increase outcomes for students across the student lifecycle.